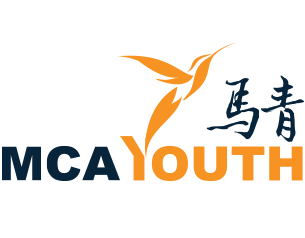 The MCA Youth is analogized as the vanguard of MCA, its compositions, functions, and powers shall be based on standing rules, orders, rules and regulations and by-laws formulated from time to time by the Central Committee acting under Articles 162 and 163 of the Party Constitution. The major task of the MCA Youth Section in the 60’s was to strengthen the organization of the Youth Section by attracting more youths to join MCA. In the 70’s, the MCA Youth Section began to protrude its role of being a vanguard for the MCA parent organization, retorting all actions or unreasonable and unjust policies that might jeopardize the rights of the Chinese community. Acting as a pressure group, the MCA Youth Section is also establishing its “Dare to Speak and Act” image. In the 80’s, it continued to strengthen the role of MCA’s vanguard. And in the 90’s, as the nation was adopting open policies, and racial politics was diminishing, the MCA Youth Section adopted a policy of moderation and reconciliation, coordinating closely with Youth Sections of Chinese Guilds and Associations, as well as the universities and colleges. In this friendly relation, they forge ahead together to help solve problems encountering the nation, the community and the society. The incumbent National Chairman of MCA Youth, YB Senator Chong Sin Woon is the Deputy Minister of Education Malaysia. Before elected to the post of National Youth Chairman in the 2014 MCA Party Elections, YB Senator Chong Sin Woon has held several key posts in the Youth movement.